Ashish Kacholia is a legendary stock market investor of India. He created a massive wealth of 800 Cr from the stock market. Ashish Kacholia is media shy investor he never came into limelight. He is popular for identifying hidden multi bagger stock in mid cap and small cap segment. In short, he follows mid cap small cap theme for the investment. He is an inspiration to many stock market investors. Kacholia started his career with Prime Securities and later he moved to Edelweiss Capital. In Edelweiss capital he was at research desk. His prime work was researching stock. In 1995 he started his own stock broking firm with the name of Lucky Investment Manager. From the beginning, his focus was on small cap stocks where an expectation of getting a return is much higher. Fan and followers of Ashish Kacholia are always looking for Stock Portfolio of Ashish Kacholia. In order to help them here is the latest stock portfolio of Ashish Kacholia. 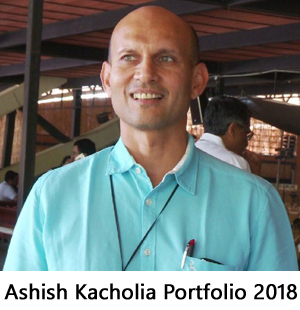 Ashish Kacholia Portfolio contains 20 stocks. All these stocks are from small cap and mid cap space. These 20 stock include NOCIL, KEI industries, APL Apollo and Pokarana. All these stocks have generated very good returns for the investor in 2017. The stock that could not able to perform in 2017 were GHCL, Ester Industries, DFM Foods. A Complete portfolio of Ashish Kacholia stocks is given below. Kacholia invests only in small cap and mid cap stocks. These stocks have very high potential to become future multi-baggers. This strategy paid off as companies such as Pokarna Granites, NOCIL, APL Apollo and many other stocks have turned out to be multi-baggers in his portfolio. Major stock investment of Kacholia is in the less known high-quality stocks. He does a lot of research before making an investment in any company. He is a risk taker. Kacholia always selects offbeat sectors which are not favorite among other investors. Some of the sectors are packaging sector, chemical, cable, power etc. He always looks at financial performance including order-book position, debt on books, quarterly revenue growth, product pipeline, demand scenario, management outlook etc. All these help him to select correct stocks for the investment. Do you think investment strategy of Ashish Kacholia make sense? Don’t forget to like and share this post with others. Great article and insight about Ashish Kacholia. I see that he is also an investor in Milltec Machinery which is going to start its iPO soon.